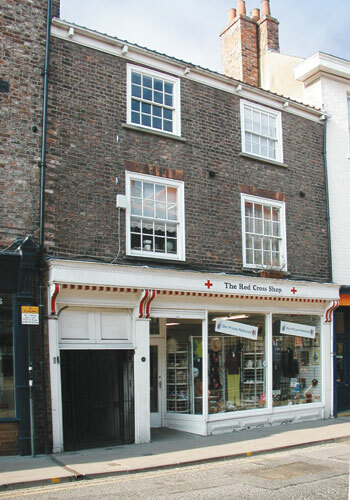 This three storey property was acquired by the Trust in 1980 and consists of a ground floor shop with a flat above. 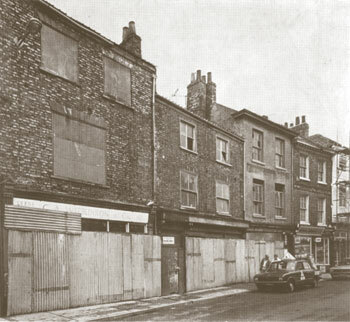 The property was built in approximately 1830, of large bricks laid in Flemish Bond above the modern shop front but with a pantile roof. Each of the two upper floors has two sash windows with projecting stone sills. A fallpipe to the right of the building is of lead, the clamps of which are decorated with an inverted fleur-de-lys. No original features survive on the ground floor.